Linkkumylly’s location by Sarkavesi lake in a historic milieu makes it a great place for unique experiences. 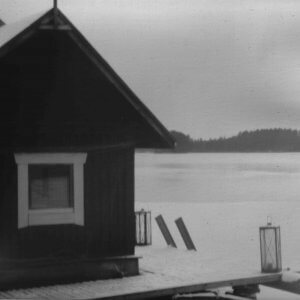 The old sauna is from the times of Taavi and is located right on the shore of Sarkavesi lake. According to our knowledge the sauna has been built in the 1890’s, which is apparent in the rustic atmosphere. 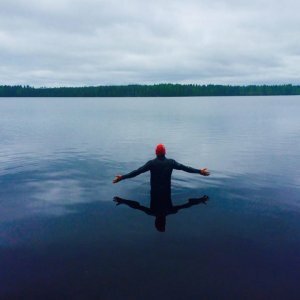 The water of Sarkavesi is clear and clean. The beach is sand and shallow, which makes it a great place for a dip for adults and children. The sauna can be pre-booked and if you feel hungry after bathing we can organize some post-sauna snacks. Preorder breakfast, lunch and dinner. Food is close to our hearts and we hope to create memorable dining experiences for our customers. We attempt to use as many locally and delicious in our cooking. 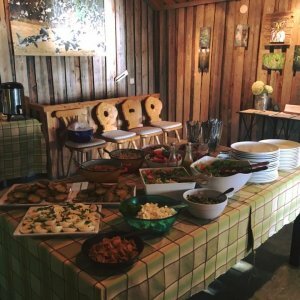 If you are interested in organizing a party or meeting in our facilities ask us for a meal suggestion. In case you are taking a group on a trek, we can also help you plan dining in the outdoors. 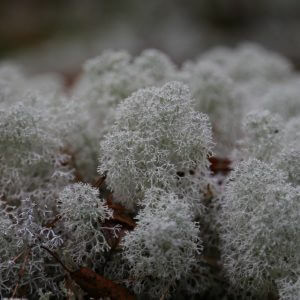 There are many wonderful nature sights to visit in the surroundings of Mäntyharju. The Finnish laavu is an outdoor wilderness hut, which are planned for temporary residence during hikes or trekking tours. Laavus are non-heated open structures, where you can make fire and spend the night in the summer time. In close proximity to Linkkumylly you can find Matkoslampi laavu (4,5km) and Pitkäjärvi laavu (7,5km). You can also combine the visits to both destinations into a one-day trip which will makes for a 21km trek. The trip can be made by foot or by bicycle, which can be rented from us. It is also possible rent canoes and travel to Pitkäjärvi laavu through water routs. There is an hour long nature trail in close proximity to our cottages. 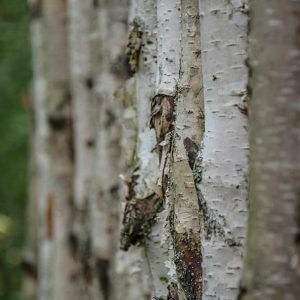 In the nearby forests there are also many small trails and paths that can be explored, without fear of getting lost. The outdoor route E 10 from Pitkäjärvi lake goes through Linkkumylly and continues to the Repovesi national park. Nice destinations for trekking are also Pitkäjärvi lake and Matkoslampi pond. Linkkumylly is located in the middle of the Mäntyharju – Repovesi National Park route. Come and experience our wonderful biking terrains! 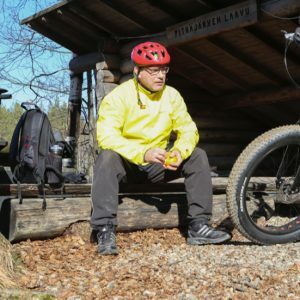 Use our facilities as a starting point to make bike tours of different lengths and challenge levels to the national park or wilderness huts. Come with you own bike or rent ours. We also have DIY-bike care center by our summer café. We rent canoes and kayaks, that can be used to explore the waters of Sarkavesi lake and Haukkavuori rock paintings. The area is also great for bird watching. 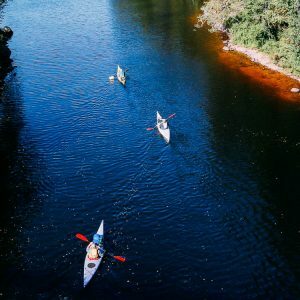 Why not paddle to Repovesi National Park and bike back to us? Have you already tried stand-up paddleboarding or supping? You can hire paddleboards from us and try them out on Sarkavesi lake. Test your balance and enjoy sunny summer days by the lake! When the winter is cold enough it is possible to ski on the ice of Sarkavesi lake. 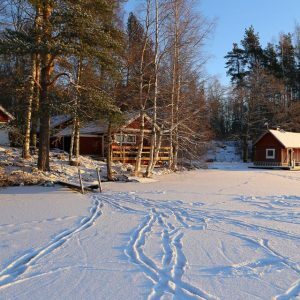 Also Pajulampi pond is a nice skiing location located very near our cottages. In the center of Mäntyharju you can also find a light up ski trail. 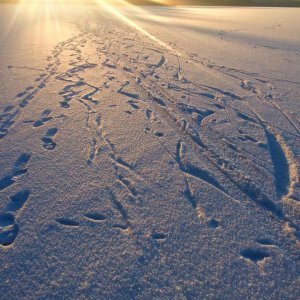 It is possible to spend a wonderful winter day skating on the frozen lake when there isn’t too much snow. Contact us for more information on ice-skate hire. The waters in Southern-Savo district are rich in fish. Try out your fisherman’s luck! You can get your fishing permits through us. We can organize interesting guided tours and courses for groups. Contact us in advance and lets plan customized activities just for your needs!